After twenty years of using computers, this is the first one I've assembled myself. This project was part salvage operation, part practise for a much more powerful machine I plan to build early next year. I inherited a PC that wouldn't POST and determined that (i) its 82W Gelid Siberian cooler was not effective enough for the 100W AMD A8-3870K and (ii) the motherboard was dead anyway. So I bought some new components and combined them with the old ones. This machine now works well for some vintage gaming, such as GTA III (60fps highest settings at 1600x1200) and Resident Evil 4 (30fps lowest settings at 800x600). 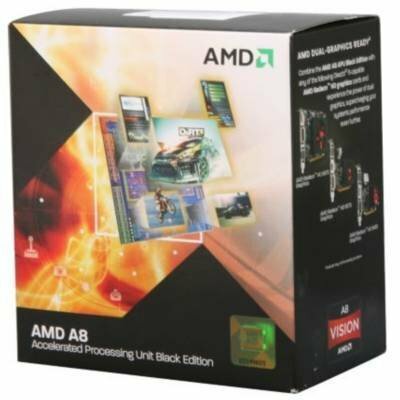 CPU: AMD A8-3870K 3.0GHz Quad-Core. This was one of three components from the original machine that I kept. It's a power-hungry APU at 100W TDP and I had difficulty keeping it cool until I used a 136W TDP cooler. This was a good way to learn that I'll need to use a much lower wattage CPU in my future machine. CPU COOLER: Gelid Solutions Slimhero. I first tried using a 100W TDP ARCTIC Alpine 64 PLUS but it wasn't enough, the APU would shoot up to 91ºC and then the machine would shut itself down. The Gelid Slimhero is less than 6cm tall, which increases the clearance between it and the power supply, temperatures go no higher than 75ºC. The fan is very quiet and the machine stays alive even when running Prime95. MOTHERBOARD: Gigabyte GA-A75M-DS2 Micro ATX. 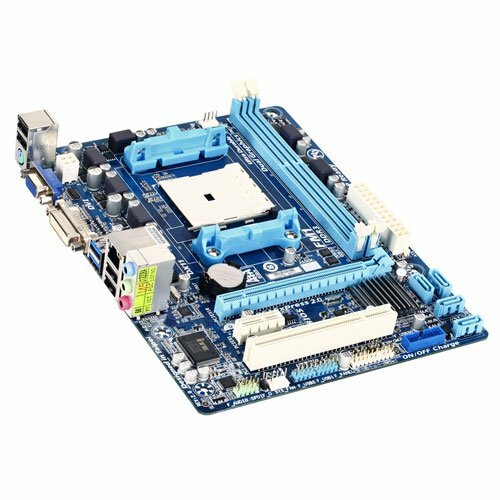 The original motherboard was an ASUS F1A55-M LK R2.0 and it seemed fine other than the fact it didn't work. The Gigabyte model does have some advantages however, specifically support for USB 3.0 and HD Audio. Since the case I'd already purchased only had those two connectors, this was very handy. Additionally, though I'm currently using a spinning hard drive, if I were to install an SSD then 6Gb/s SATA III would be a big improvement over the Asus motherboard's 3Gb/s SATA II. Finally, the Gigabyte motherboard is only 17.4cm wide, so the hard drive sled that comes with the case can be used, even though the user manual says it's only for use with Mini-ITX motherboards. 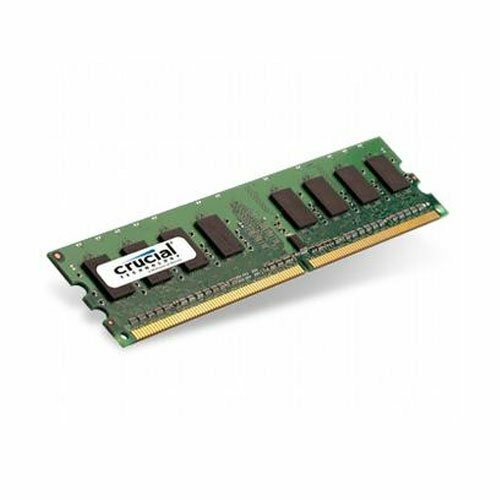 MEMORY: A-Data 8GB (1 x 8GB) DDR3-1333. The RAM in the parts list is from Crucial because the 8GB A-Data 1333MHz stick doesn't exist on PCPartPicker. It's slower than I'd like, and dual-channel isn't possible due to it being a solo stick. However, my next machine will have DDR4 RAM, so I didn't want to buy anything better. This is the second component from the original machine. CASE: Cooltek Jonsbo C2 (Silver). This is what determined my motherboard and CPU cooler selections. I wanted a Micro ATX case with the smallest possible volume (12.1 Litres) and what looks to be a very good method of cooling a future graphics card; a 140mm fan blowing air straight up into its cooler. 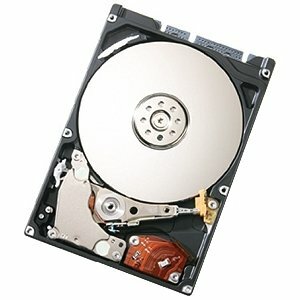 STORAGE: Hitachi Travelstar 5K500.B 250GB 2.5" 5400RPM. This is what came installed in my 2010 MacBook Pro, I replaced it with an SSD in 2011. It's been gathering dust ever since, so I put it back into service with this machine. 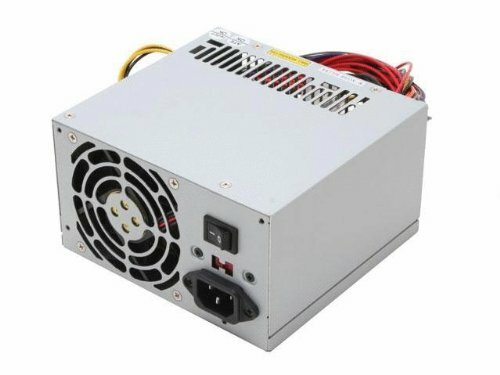 POWER SUPPLY: HM K-23/400W 3*SATA. Again, the Sparkle power supply listed in the parts list is a stand-in for an even more generic looking model, this is the third and final component from the original machine. It's not modular and the cables are gloriously colourful, but I was able to tame them reasonably well, tucking the Molex and excess SATA cables behind the hard drive bracket. WIRELESS NETWORK ADAPTER: TP-Link TL-WN851ND 802.11b/g/n PCI. I was about to buy a PCIe card when I noticed that both PCIe slots would most likely be blocked if I add a discrete graphics card in the future. So I got this PCI card instead and it works well. CASE FAN: Noctua NF-P14s redux-1200 PWM. Comparable in quietness to the Gelid cooler's fan, this and the case are what I plan to use in my future build. It reduces the CPU's temperature by ~5ºC. This was an enjoyable computer to practise with, I look forward to building my more powerful machine next year. Less than 6cm tall, this prevents my 100W CPU from getting hotter than 75ºC. 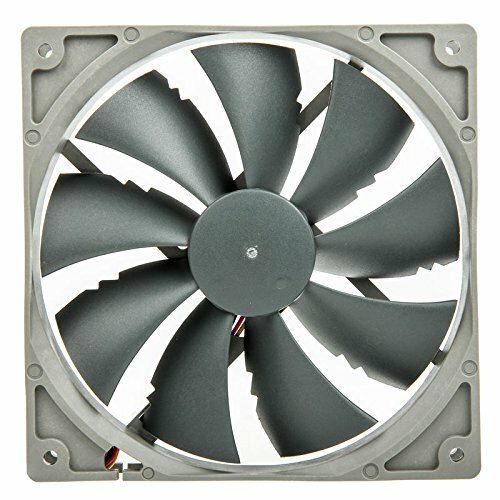 The fan is quiet at idle and remains low-pitched when under load. If used with a Mini-ITX or smaller Micro ATX motherboard, you need to remove the entire cooler in order to access the RAM slot closest to the CPU. You most definitely need to use low-profile RAM sticks. An almost-Mini-ITX motherboard (174mm x 225mm) that's both cheap and full-featured. Assuming the two PCIe slots are taken up by a graphics card, the "extra" PCI slot is most useful for adding a wireless internet connection. Includes USB 3.0, HD Audio and four 6Gb/s SATA ports. A reasonably quiet drive that works as well as you'd expect. The only downside is a very loud click when the heads park upon sudden movement. Now that it's in a desktop computer rather than a laptop, this is no longer an issue. A cheap and simple way to add wireless internet to a computer, it being PCI means any PCIe slots are left free. Nicely built and very quiet, this reduces the temperature of the CPU in my small form factor computer by 5ºC. 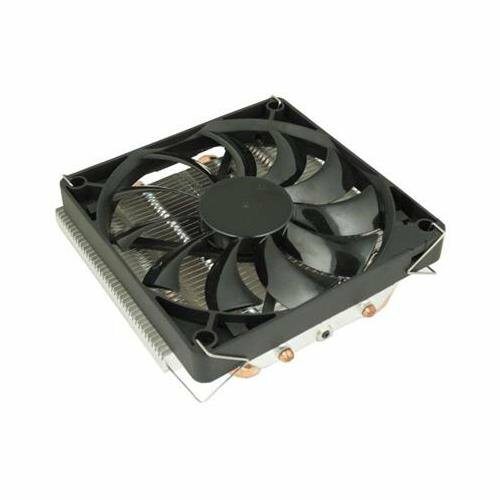 When Smart Fan Control is active on the motherboard, this only runs at 800 RPM under load, the full 1200 RPM is reached when Smart Fan Control is disabled. Congrats on being featured build! I think you are the first as the lowest budget featured. (€151.35) You must of did something right to impress the staff here. Great build on reusing parts and keeping it low budget with the new parts added on, may I say with excellent photos. It's a lovely clean build, so great work and much respect. I was very happy to find a nice budget build with great pictures. Pictures are generally the limiting factor unfortunately. Generally speaking, people who make higher end builds simply take better and clearer pictures of their setups. I'd rather showcase 10 expensive builds with great pictures than throw in some budget ones where you can count the pixels in the photos. OP did a great job all around. Well, you do have that extremely expensive "featured" build underneath this one... With one blurry picture of the box of an i7-5930K. I thought you LIKED pictures. That is a stream of the most recent builds. Only the large one is a manually selected featured build. You did an excellent job here. I think you even tackled a rather difficult build for your first time simply because the chassis is so unconventional. It's far from cookie cutter and it's refreshing to see. Thank you. Looking back at the photos, I think I may have mounted the CPU cooler in such a way as to block the PCIe x16 slot, so if I add a graphics card then I'll need to rotate the cooler 180º. However, I probably won't be doing that, so it's fine for now. Back in August I decided to buy a graphics card and it did bump into the CPU cooler after all, I got to flip it like I thought I would. This build is great for a salvage! Thank you. If it's a good-looking, teeny-tiny server you want, the Jonsbo V2 is only 6.8 Litres in volume (versus the C2's 12.1 Litres), though it doesn't have much space for drives. You must be in for a serious upgrade if you're going from AM1 and DDR3-1333 to ANYTHING with DDR4. this made me LOL... So true that ANYTHING w/ DDR4 is pretty serious. My current plan is an i5-6500, 16GB 2133MHz RAM, and a GTX 970, so it will by quite a jump indeed! Very well done, sir! Nice build! Welcome to the world of custom PCs! You certainly did well with this, even for a first build. Your cable management job was great. Just as they've said before, OCD is a valuable asset for pc builders. If I may ask, what's your budget for this pc you intend to build next year? I saw that you were thinking about purchasing DDR4 ram. It seems like you are still learning about some of the different components and how they work, so it would be a good idea to talk to one of us that have been building and working on PCs for a while before you make the plunge into a $2000 super build. You'll find that lesser components will actually work just as good in games and most professional softwares. So my budget will be around 1300€. I plan to replace the Haswell i5-4690S with a Skylake i5-6500, the DDR3 RAM with DDR4 RAM, and the motherboard with one that supports socket LGA 1151 naturally. I'll also see how much larger hard drives and SSDs cost at the time. Is there anything you'd recommend doing differently? Good call on the non-reference card for this case. In small cases, reference is usually better to lower temps but I think it would starve the CPU with a blower taking the majority of the flow and tossing it out. Anyone with thoughts on that? I'm planning on using the Noctua NH-L9x65, is there a particular be quiet! cooler you'd recommend? And yep, the Skylake i5-6500 should be only 65W TDP. It also helped that there aren't any reference GTX 970s short enough (220mm) to fit in this case. The two fans will also hopefully make it quieter than the single-fan "Mini-ITX" Asus and Gigabyte cards. There aren't any official Nvidia releases for a reference 970. I would have a look at samsung sm951 m.2 ssd drive which can run at full pice 4x which is theoretical possible to go to 32gb/s transfer speed. That could translate to 1600MB/s! The mobo needs to support this as well though which are rare.. Some Asus do I think. And I thought somebody made an HTPC build using a Nintendo GameCube. I looked into doing just that but the size of components needed was smaller than I was willing to go, especially as my future build will have a dedicated graphics card. I did find a video from someone who did it back in 2013 though, and a forum thread from 2008 too. I just realized that your profile picture is the GameCube logo. Nice build none-the-less though. Great build. Like the case. You get a +1 just for using a Jonsbo case. So underrated. Next week I'm ordering parts to build inside my U3. I can't wait. They are so awesome looking in today's world of 12 year old throwing 55 leds in a full tower case. I considered the U3 as well, did you choose the windowed or non-windowed version? I look forward to seeing your build. I went with the silver windowed version. I plan simple lighting to showcase the parts inside. I initially thought of going non-windowed but I do like seeing the build. I just saw your U3 build now and am very impressed by how much power you were able to fit in there. Very nicely done. Thank you kindly. Your build actually got me excited for mine. It's just so clean. The Jonsbo style cases are just so underrated and tidy looking. Overall this is a really nice first build, this is the best low budget build I've ever seen and it'll probably stay that way for a long time, good job on cable management, I saw your new part list and maybe think of using another case when you do get a next build, because a higher end case offer better options of cooling and cable management in many form factors. I'm considering it. I think I'll try this one first as I really like the look and size, but if even the 65W TDP i5-6500 runs too hot, then I'll look for something more airy. I did use a different case for my new machine in the end, though one just as tiny and cramped :) The temperatures seem fine though, I've not noticed any throttling, so all is well on that front. You have a good looking build, got to love those high TDP issues. I have an FX-8320, I always had issues with it until I got the hyper evo-212 now it stays nice and cool at 30ish deg F. Any CPU worth having will have a TDP of around 100f and if you overclock expect it higher, just by decent coolers and you will be fine. I looks like your original cooler was for an HTPC which would normally have a 25w-65w CPU and would have issues cooling a 100w CPU (or in this case APU). I would suggest replacing your RAM, APU's need really fast RAM. I would advise getting a 2400MHz stick (or two), APU's are the only processors I suggest anything faster then 1600MHz. They need faster ram due to the onboard GPU using system memory as VRAM, also try to get 8gb of 2400MHz memory or 2133MHz in the very least. At this point there is not really a benefit in going with DDR4 as the average speed is 3000MHz which is not enough faster then top end DDR3 to justify the cost. Also you are very limited in the CPU's that support DDR4 and they are really expensive (not to mention the motherboards), I see DDR4 becoming more standard in the next CPU cycle which will most likely be late this year or sometime next year. Though prices will stay high for a few more years with DDR4. I would love to see what AMD's next APU's can do with DDR4 RAM. The original cooler was rated for 100W TDP but the case I'm using is pretty cramped, so I think it wasn't able to get enough cool air. As for the RAM, if I weren't planning on moving to Skylake next year, I'd buy some faster DDR3 RAM now but, as I am, I'll not. +1, I really enjoyed it. Despite being a salvaged build it's a nice introduction to building PCs. And it seems pretty capable. Clean pictures as well. The drive you're using, did you wipe it and install windows onto it? If not my main question is does whatever mac os work fine on the new computer? I've heard that the OS is tied to the mobo so if you switch mobos for instance you need a new license, but that may be for windows only, I don't know. Since when I hopefully switch over from amd to intel in the next year or so with and entirely new rig I'd like to keep my hdd without having to wipe it and buy a new license. Yep, I wiped it, then re-partitioned it with MBR rather than GUID partition scheme, then formatted it as NTFS during the installation of Windows 7. Mac OS X doesn't work on AMD as far as I know, as Apple only include Intel CPUs in Macs, so I'm using solely Windows for now. When I build my Skylake machine next year, I'll transfer this license to that and install Ubuntu on this. Said machine will also have parts chosen specifically for Mac OS X compatability, that it can be a Hackintosh too. As for switching your own system from AMD to Intel, so long as your current AMD machine is 64-bit (I assume you'll be going to 64-bit Intel) then I think you can keep the same Windows install. You'll need to re-activate Windows and so you may need to contact Microsoft, but so long as you have a valid license key I believe it will work. If someone knows differently please correct me. Ok thanks I'll need to check if I still have that key.... I should.... I hope. And yes I'm currently on a 64-bit the fx 6350, am3+, 990fx chipset, etc. and looking into moving up into the x99 platform. As for Skylake I haven't heard much of it and been meaing to look into it from what I originally heard I thought it was AMDs DDR4 solution but i guess that is what zen is. Great looking build. You should complete the "nom de guerre" and install Dolphin to emulate some Gamecube (or Wii) games. Steam Ice (google for website) offers a great option for opening these through the Steam/Big Picture interface. I requested it be added a month ago but it's not happened yet, I'm not sure why. Possibly availability among the sellers on this site is too low. That's their excuse for AMD Opteron series not being on here, anyway. When I assisted my brother in building his first computer back in February, their "How to Build a PC" video was very helpful to us, so I found it both fun and gratifying to get their feedback. Thanks again for your advice on the CPU cooler, it's worked out really well. I think the ram like the apu was one of the parts that was reused and the op didn't want to buy new ram if it wasn't a necessity at the time, like they said they will be moving to ddr4. Please do not listen to robowarrior3000. He's very opinionated and I don't think he will be around on the site much longer for constantly shelling out incorrect information and hassling other members. You can look at his previous comments on his profile. There is going to be only a very, very small increase in performance past 1333MHz and you would need to ensure that your motherboard would even be capable of overclocking the memory and running it at a higher frequency. The RAM you picked is definitely a 'budget' type and you are correct in saying that you cannot run a single stick in dual-channel but robowarrior's comment is not true at all. Given that you have no graphics card (and thus cannot game) the RAM at this time is really a total non-issue. In the future you can do some more research on RAM and get 2 sticks of good grade RAM that you can run in dual channel. Feel free to message me for any help if, and when you want to do this. I wasn't the one who posted the build, but it doesn't matter. As for the ram being above 1333 only given a very very small performance increase isn't entirely true either, granted it probably won't increase performance by 40% but it may. The way AMD's APUs are designed is that the graphics cores in them benefit quite substantially from fast memory so you would see a noticeable benefit from getting 2400 as opposed to 1600. Unlike Intel which doesn't really benefit but their integrated graphics aren't worth using at all for gaming. Now as for the dual channel even though if it came as a single stick if could still be possible to do dual channel if the cpu and mobo support it. However they would need to get the exact same ram and make sure it is also sold in kits of 2. For instance with my memory I bought a 2x8 kit for dual channel however it is also sold in 4x8 kits so I could buy another 2x8 kit of the exact same ram and run it in quad channel if my cpu and mobo support it which fx99 doesnt however i belive i could still have 4 sticks for 16GB it just wouldn't be in quad channel. It also isn't true that the op cannot game. Granted with this build and the low end APU and ram it would be very hard. However if you check out this youtube video it shows that memory speed does impact fps on games with an APU granted that is a much newer APU. You're welcome and check out the time-lapse vdeo I made, I've updated the description to include it.